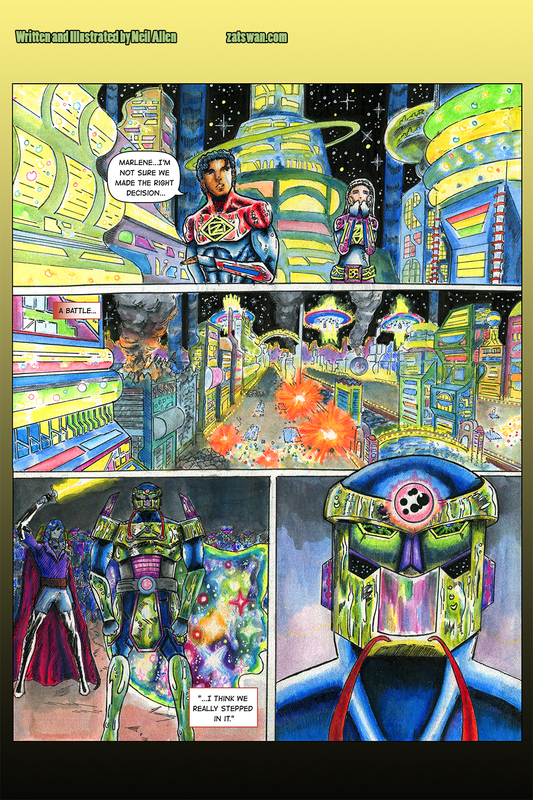 So ends Chapter 1 of Zatswan: Multiversal Guardian. If you enjoy this story, I strongly encourage you to support it on Patreon. The immediate goal is to get 10 patrons, and your help in reaching that will go a long way toward growing this brand. A lot goes into making this comic, and I can always use help keeping the lights on. If you’re willing to pay for products from DC Comics and Marvel Comics that habitually let you down, please consider supporting someone interested in giving you what you’re looking for. 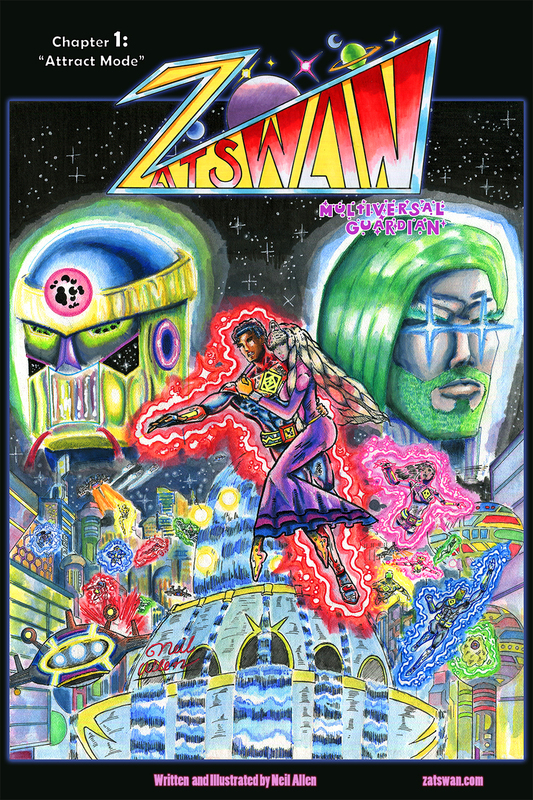 Zatswan: Multiversal Guardian will continue with Chapter 2 in four weeks. This break will allow me time to unwind, promote, maintain a good head start on pages, and catch up on articles I want to write for this website. As much as I’d love to keep posting pages and continue the story as fast as possible, that really isn’t the wisest course of action toward keeping up and improving the quality of the comic. There are big plans for Zatswan.Com in that interim. Keep an eye on the website for future articles. Follow me on Twitter to make sure you don’t miss anything.